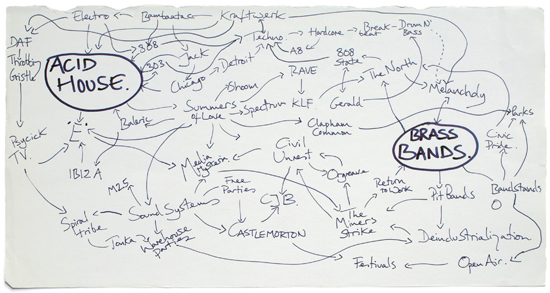 "I drew this diagram about the social, political and musical connections between house music and brass bands – it shows a thought process in action. It was also about Britain and British history in the twentieth century and how the country had changed from being industrial to post-industrial. It was the visual justification for Acid Brass. 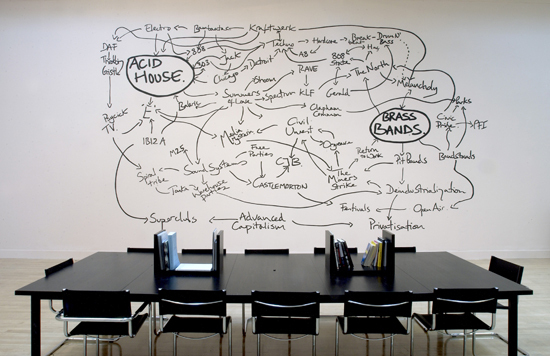 Without this diagram, the musical project Acid Brass would not have a conceptual backbone." Exhibition view, Turner Prize, Tate, London, 2005 © Tate Photography.